For some, food is more than nourishment, it&apos;s an experience. People often celebrate special moments with new flavors, gourmet meals and traditional family recipes. More and more, cuisine is an important part of a traveler&apos;s vacation and to celebrate culinary tourism, the Charlotte Harbor Visitor & Convention Bureau will theme this year’s annual Tourism Luncheon and Charlotte County Tourism Hall of Fame Induction around food, glorious food. 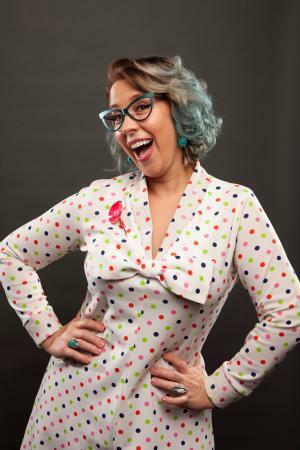 The Tourism Luncheon will highlight the connection travelers have with cuisine and will feature keynote speaker Emily Ellyn, known as the Retro Rad Chef from Food Network. Members of the tourism industry are invited to attend the luncheon being held at 11 a.m. on Thursday, May 12 at the Charlotte Harbor Event & Conference Center (75 Taylor St., Punta Gorda, Fla.). The 2016 inductee into the Charlotte County Tourism Hall of Fame will be honored in a ceremony following the keynote address. Established in 2014, the Charlotte County Tourism Hall of Fame was created to honor people whose body of work in support of Charlotte County tourism has been both exceptional and diverse. Nominations are being accepted through 5 p.m. on April 12, 2016, and the inductee will be selected by a panel of six judges composed of representatives from each geographic area of Charlotte County as well as regional and state tourism organizations. The Charlotte County Tourism Hall of Fame is located in the Charlotte County Administration Building at 18500 Murdock Circle, Port Charlotte. Previous inductees are Becky Bovell and Capt. Marian Schneider. Cost to attend the May 12 lunch is $20 per person. Members of the tourism industry are invited to attend and can do so by registering online at chgi.eventbrite.com or by calling (941) 743-1900 no later than May 9, 2016. All tickets are general admission and there is no assigned seating. Emily Ellyn is the Home Economics teacher you’ve always wanted, and best known as the Retro Rad Chef from Food Network. You’ve seen her on “Food Network Star,” “Cupcake Wars” and most recently as the winner of “Cutthroat Kitchen.” Emily encourages everyone to dig through their mother’s recipe box, dust off their pressure cookers, and take the old and make it new. Emily is also a culinary educator and food writer, who writes for “edible” magazine and is the Cake Genius at “Cake Central” magazine. When she’s not busy writing or lecturing, you’ll find Emily cooking up fun at food and spirits events around the world. Each year, the Charlotte Harbor Visitor & Convention Bureau conducts marketing, sales and promotional campaigns to increase awareness of and visitation to Charlotte County. In addition to generating economic contributions, the Charlotte Harbor Visitor & Convention Bureau is also focused on developing soft adventure or ecotourism, a low-impact industry enabling the county to preserve the invaluable natural resources that contribute to its ecological health, distinguish the area and draw visitors. Images Available of Charlotte Harbor & the Gulf Islands and Emily Ellyn in this link. Images of Emily Ellyn should be credited to Emily Ellyn.